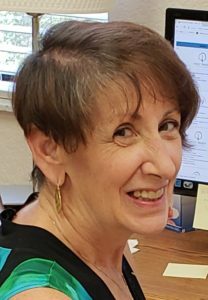 Join us on July 8th, 2018 after the 8AM and 10AM services to welcome Grace Smith as our new interim parish administrator who began June 18th. More details to follow! 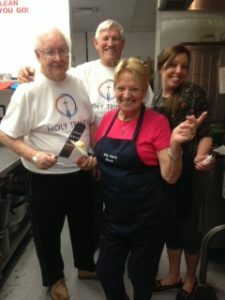 Read about Holy Trinity’s KAIROS Prison Ministry thanks to the hard work and dedication of Charlie Kunath and many from our church who have helped over the years. Imprisoned men from the Zephyrhills Correctional Institute in Florida are given hope – with God all things are possible. The Episcopal church works with imprisoned men and women in many ways, showing them the love of Jesus through individuals who care. 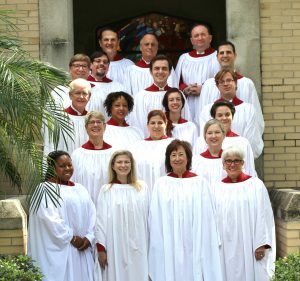 St. John’s Choir, under the direction of Simon Morley, performs “Music for the Church Year” on June 3rd, 2018 at 4PM. We are thrilled hear this marvelous performance! The reception immediately following will be a relaxing event and the Shower of Stoles Exhibit is truly inspiring. The Choir will perform People Look East (a Basque Carol), In the Bleak Midwinter (by Darke), and God is Gone Up (by Finzi). To highlight their practice of radical hospitality, welcoming everyone regardless of race, creed, color, gender, age, disability, or sexual orientation, Holy Trinity, 3200 N. McMullen Booth Road, Clearwater, will host the Shower of Stoles Project during the month of May. 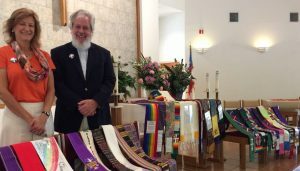 The Shower of Stoles Project is an extraordinary collection of more than a thousand liturgical stoles and other sacred items representing the lives of gay, lesbian, bisexual, and transgender people of faith. Thirty of the beautiful stoles along with a powerfully moving narrative for each will be displayed in the church. The stoles may be viewed Sunday, May 20 & 27, 11:15 a.m. – 12:15 p.m., or by appointment. Call 727-796-5514 to make an appointment. Holy Trinity is seeking a new tenant to lease a portion of our space where a former preschool operated last year. If you know anyone who may be interested in subleasing some valuable space across from Mease Countryside Hospital – do let us know! Our church will continue to operate as usual, but this classroom space has been vacant for a bit and we’re looking for a good neighbor to share our beautiful space! Holy Trinity Episcopal Church, 3200 N. McMullen Booth Road, Clearwater, will hold its Fourth Annual Shrove Tuesday Pancake Supper & Chili Cook Off on Tues, Feb 13th, from 6 to 7:30 p.m. In addition to delicious pancakes, an old Lenten tradition, on the Tuesday before Ash Wednesday, the church will spice up the day with a Chili Cook Off. Admission is $5 per person. Children under 12 are free. Join in the fun and share some wonderful fellowship as we begin our Lenten journey. Please call Joanne Wallend at 727-515-4104 for more information.